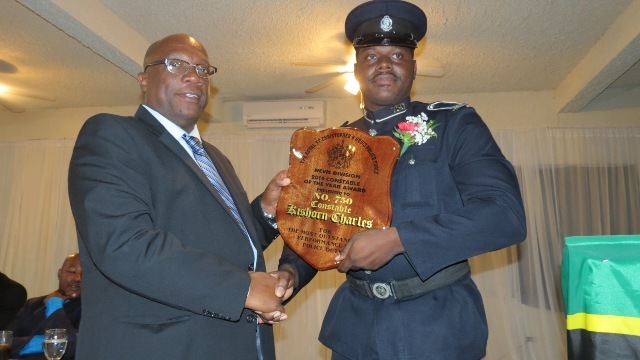 NIA CHARLESTOWN NEVIS (March 3, 2015) – Constable of the Year 2014 was awarded to #750 Constable Kishorn Charles attached to the Violent Crimes Unit in the Nevis Division of The Royal St. Christopher and Nevis Police Force. 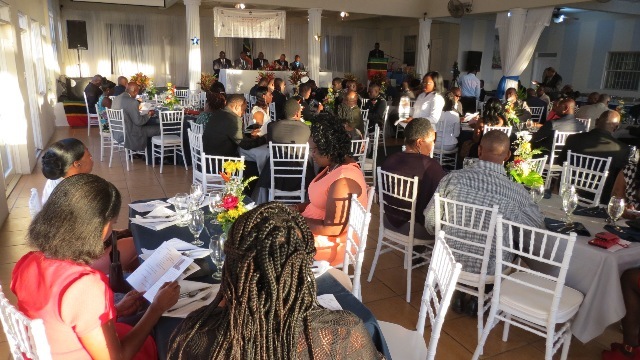 The award was presented at the 12th Annual Constables Awards Ceremony and Dinner on February 28, 2015 at the Occasions Entertainment Arcade. In response to being presented with the award, Constable Charles expressed that he was flattered and appreciated that he was chosen. “I am grateful that I was nominated as the Constable of 2014 for the Violent Crimes Unit. I am flattered to be a part of the event but even more I deeply appreciate this award which represents the hallmark of excellence to all constables in this division…Now that I am one of the award winners I feel happy,” he said. Charles was one of 11 nominees from various departments and units. All the nominees received an award for their outstanding and exemplary performance for 2014. The other nominees for the Constable of the Year Award were #624 Constable Cleon Micheal of the Criminal Investigation Department, #627 Constable Damian Dasent of the Cotton Ground Station, #677 Constable Trevin Mills of the Gingerland Police Station, #689 Constable Antonio Browne of the Crime Scene Unit, #697 Constable Devon Jones of the Traffic Department, #730 Constable Etroy Jeffers of Immigration, #736 Constable Ronrick Huggins of the New Castle Police Station, #743 Constable Sihon Knights of the Beat and Patrol Department #755 Constable Derell Boon of the Task Force Unit and #790 Constable Mora Mills of the Beat and Patrol Department. In delivering remarks, Superintendent Hilroy Brandy expressed that he felt events like these helped to encourage, motivate and keep the focus of the division for he believed that the moral of the men and women are absolutely critical to the overall success of the division. Brandy further congratulated all the nominees and encouraged them to continue to go above and beyond the call of duty. 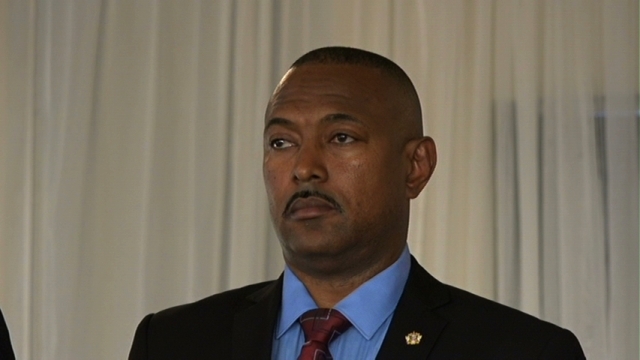 Assistant Commissioner of the St. Christopher Division Ian Queeley gave brief remarks, in which he stated that although the year was permeated with challenges the Nevis Division managed a 27 percent reduction in crime. “The year in review has been one that was filled with mixed emotions and loaded with varying challenges, ranging from resource issues to public ridicule…but through it all leadership continued to press forward and rally with the troops…and realized a reduction of crime of some 27 percent,” he said. 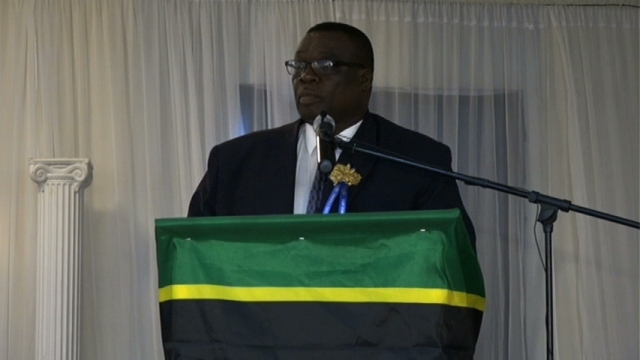 Among the attendees were Prime Minister and Minister of National Security Hon. Timothy Harris, Premier of Nevis Hon. Vance Amory, Her Honour Yasmine Clark and President of the Nevis Island Assembly His Hon. Farrell Smithen.